1. Ghost Footprints – walk in some baby powder or white paint onto some black paper or cardboard. 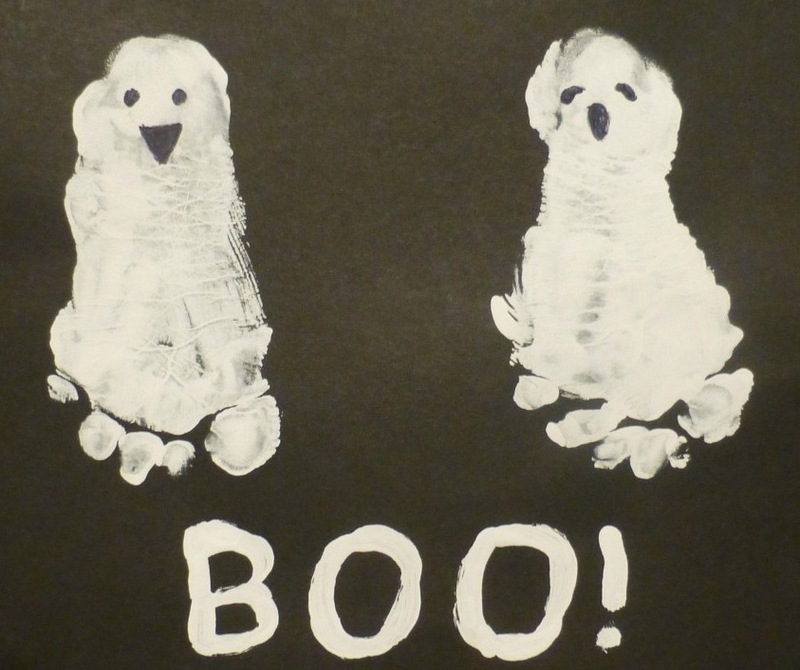 Paint ‘Boo’ with a paintbrush and use the other end of the paintbrush to create spooky faces. 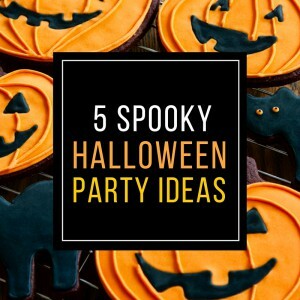 Decorate your Spooky Space with lots of these Ghosts! 3. Spooky Balloons – blow up some orange and white balloons, draw spooky faces on them with black texta. Hang these from the ceiling, decorate the party table or tie them to your letter box. Balloons are always fun, especially when they are spooky!